Bored of your drab old, grey crutches? Looking for something to add a spring to your step? Maybe you're just looking to add a little colour to your everyday life? 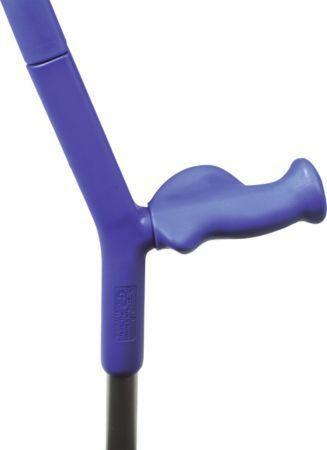 We're delighted to offer a range of comfortable, adjustable coloured crutches! 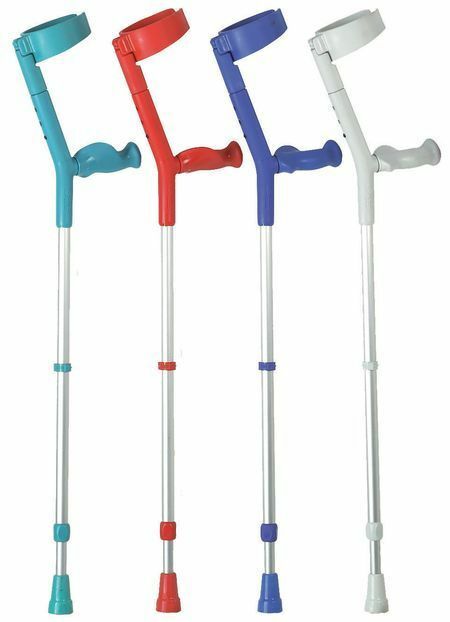 With a soft anatomically shaped handle and fully adjustable, we have blue crutches, red crutches, grey and turquoise - a colour for every occasion! Be the talk of the town with a pair of colourful new crutches! The walking aid is exactly what I was looking for and am very please with it. Fab colour, fab handles; altogether lovely! Exactly as described and comfortable to use. The packaging was not good. Two crutches were in one plastic bag instead of being wrapped seperately, resulting in a scratch mark on one presumably due to vibration in transit. Permanently disabled and so glad of a jolly colour of crutches. Hand grip is of particular importance. On the downside - liked the colour of the ferrules but feel much safer with the traditional grey. Thank you for the very prompt dispatch. I may order a different colour for the summer! The red crutches I bought certainly do the job for which they are intended. 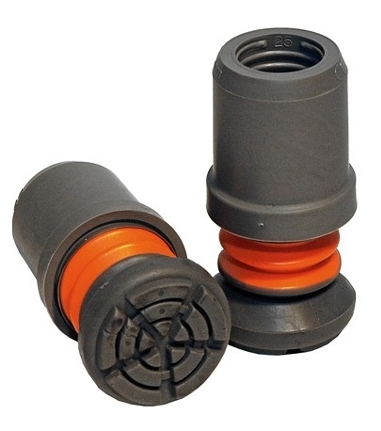 A physio commented that they look a great bit of kit and they're very comfortable to use. She was intrigued by the special Flexyfoot ferrules and thought they were a very good design for keeping flat on the floor at all times. I'm a satisfied customer and will use active mobility again when needed. Superb. Brought these for my wife\'s second hip opp. the basic NHS ones on the first opp straight handles for first week then flat one, for next 5 weeks left her with damaged wrists and she had to wear wrist splints every night for about 12 months. the support and comfort with theses and the shock absorbing feet, am I sure helped her improved recovery time over the first opp. She was non load baring for 6 weeks after both opps. for extended recovery periods or permanent use I would highly recommend these. The colours are good people commented favourably on them.